2XU's redesigned 2019 range comes with hours and hours of research, design and testing at the Royal Melbourne Institute of Technology University. 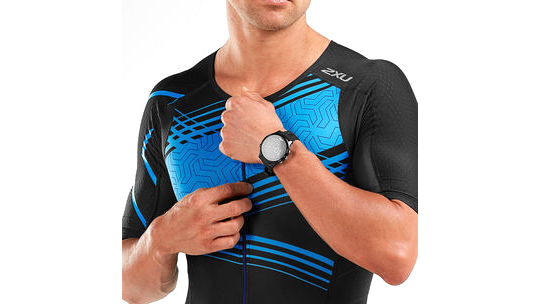 2XU have ensured that their range includes the very latest and best technologies to provide you with race-day comfort and performance. The trisuit's Italian fabric reduces muscle fatigue during racing as well as helping to promote faster recovery time through stabilising the body's muscles. The chamois fitted on the trisuit minimises water absorption to keep you lightweight and feeling fast whilst maintaining ample support for the bike and remaining discrete enough for the run. 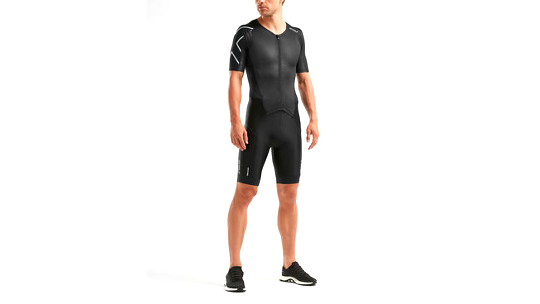 This suit can be used to race short, mid and long-distance triathlon in and the full-length zip offers easy access to fast-acting ventilation.